Article: But who will guard the guardians? What can be done for the unbridled gallop of Executive Compensation? Juvenal wrote the question ("Quis custodiet ipsos custodes?" in the original Latin1) that titles this column in the context of domestic venality. I must, however, immediately dash the hopes of readers who thought this column might contain salacious episodes of similar indiscretions committed by HR professionals. Instead, I plan to address the even greater scandal of the unbridled gallop of Executive Compensation, which is substantially the result of the people responsible for analyzing, recommending and controlling it (primarily HR) as well as those deciding about it (CEOs and Top Management) being the greatest gainers from its growth.2 To those who recall the phraseology of the Cold War, it is almost as if the CEO-CHRO complex is fueling the compensation race. Can runway increases in Executive Compensation be slowed down? In the early ’90s, when the magic lamp of liberalization came into corporate India’s hands, one of its first wishes was for lifting the limits on managerial remuneration. This was necessary, overdue and, best of all, felt very, very good to those of us who were the beneficiaries. The dopamine rush was so heady that we had to keep rubbing that lamp again and again till the genie grew tired and told us that Directors’ salaries were in our hands and we could take them wherever we liked. And, boy, did we take them up? We took them up so high and so fast that ISRO could have taken tutelage from us! The CEO-carrying tips of the rockets we lofted went the furthest and, over a period, far outstripped some of the lower booster stages. An analysis of the data disclosed (at the behest of SEBI) by top listed companies forming part of the Sensex showed that while "the median employee remuneration fell or remained almost same during the last fiscal …. the ratio of the top executive’s pay to the median employee remuneration remained at astronomically high levels of hundreds-times in many cases. "3 A study conducted some time back by Aon-Hewitt computed that CEO compensation in India was 622 times the graduate minimum wages in the same organizations. The ratio was 423 for the US, 270 for the UK, 268 for China and 142 for the EU.4 Clearly, we are launching our CEOs, remuneration-wise, on a trajectory where no nation has gone before. Clearly, the upper part of the managerial employee group is on the same soaring salary slope as the CEO. A CHRO would need to be a saint (or a fool) to single-handedly attempt slowing down the rocket in which all of that CHRO’s workmates and stakeholders are favored, passengers. Over the last couple of decades, high and rising compensation has become a part of the self-image to which top executives have become addicted. If they don’t see their salaries overtake, or at least keep up with, their reference group, they suffer from severe withdrawal symptoms. Performance drops, interpersonal frictions rise and the 'addicts' depart for better-paying surroundings. HR quotes such cases to bolster its arguments for staying on the roller-coaster of growing pay packages. 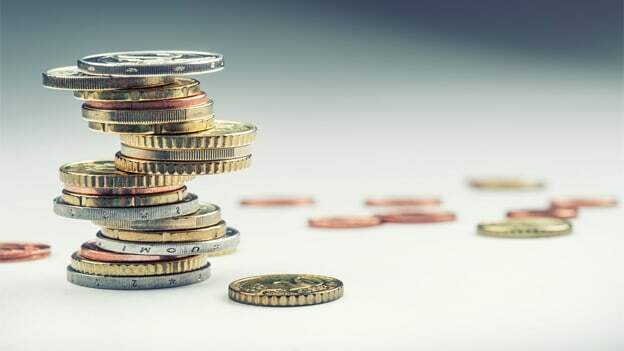 The terms of reference and the comparison basket chosen for the compensation surveys most companies commission annually also add to this upward spiraling effect. Ironically enough, those whom the rising tide of executive compensation has lofted high are also handicapped by it, especially since individual monetary rewards are both the justification and the vehicle for distributing much of the largesse. What effect does the Midas touch have on those who are outside its range but still expected to contribute to the organization’s overall goals and success? We saw earlier that CEO compensation in India averages 600+ times the graduate minimum wages of that organization. The pay ratio to the lowest employee remuneration is obviously much higher. I leave it to you to imagine what the ratio is to the salaries of contract workers who increasingly constitute a greater and greater proportion of the workforce in some organizations. One version of the Midas legend tells us that the king was so distraught when his touch turned his own daughter into lifeless gold that he begged Dionysus to take away the fatal boon he had acquired. Dionysus told Midas to bathe in the river Pactolus and that whatever he put into its water would reacquire its former state. Where shall we find the Pactolus to wash away the layers we have added to executive compensation year after year? There are many tributaries that can be combined to give us the healing river. Space permits me to describe just three of them here. Public pressure, shareholder activism, and a vigilant Board are necessary but will not be sufficient to upend the reigning paradigm of excessively expanding executive emoluments. For that to happen, a positive set of alternative models need to emerge from innovating organizations with visionary CEOs and pioneering CHROs. Momentum will form behind such breakthrough ideas only once a few enlightened larger corporate giants see the merits of paying smarter rather than just more. Perhaps this column falling into the hands of a bold CEO may catalyze the process. Until these three dips in the Pactolus are arranged for the CEO-CHRO guards we have appointed to regulate remuneration in the enterprise, their oversight might well resemble that of the fox protecting the chicken coop. If we keep going the way we are, we should not be surprised to hear these agents defend their inexhaustible pay-increase demands to their principals in words echoing Robert Clive’s defense (during his Parliamentary cross-examination) of his depredations in India: "Mr Chairman, at this moment I stand astonished at my own moderation." 1 Juvenal, Satires (Satire VI, lines 347–348). 2 Lucian Bebchuk & Jesse Fried, Pay without Performance ñ The Unfulfilled Promise of Executive Compensation, Chapters 5 & 6, Harvard University Press, 2006. 3 PTI, India Inc pay gap: CEOs earn up to 1,200-times of average staff, The Hindu 23 July 2017. 4 Anandorup Ghose, In Search of Equality ñ, Are we the most capitalist country in the world?, Aon-Hewitt Total Rewards Quarterly, India, Volume 1 Issue 4. 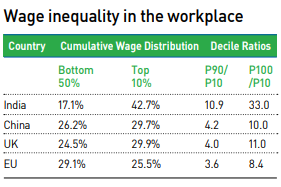 5 International Labour Organization, Global Wage Report 2016/17 ñ Wage inequality in the workplace, pages 39-42. 6 Alfie Kohn: Punished by Rewards ñ The Trouble with Gold Stars, Incentive Plans, A's, Praise, and Other Bribes, Houghton Mifflin, 1993 / 1999. 7 Edward L. Deci, Richard Koestner & Richard M. Ryan, A Meta-Analytic Review of Experiments Examining the Effects of Extrinsic Rewards on Internal Motivation, Psychological Bulletin, 1999, Vol. 125, No. 6, 627-668. 8 Teresa Amabile & Steve Kramer, What Doesn't Motivate Creativity Can Kill It, Harvard Business Review, April 25, 2012. 9 Rick Wartzman, Executive Director of the Drucker Institute, Letter to the Securities and Exchange Commission, February 17, 2011. 10 Weijia Li & Steven Young, An Analysis of CEO Pay Arrangements and Value Creation for FTSE-350 Companies, December 2016, Report Commissioned and funded at Lancaster University Management School by the CFA Society of the United Kingdom. 11 Ethan Rouen, Rethinking Measurement of Pay Disparity and Its Relation to Firm Performance, HBS Working Paper, No. 18-007. 12 Richard Wilkinson & Kate Pickett: The Spirit Level. Why Equality is Better for Everyone, Allen Lane, 2009. 13 Joseph E. Stiglitz, Of the 1%, by the 1%, for the 1%, Vanity Fair, May 2011. 14 Mark Van Clieaf and Karel Leeflang, The Alignment Gap Between Say on Pay Voting and Creating Value, Investor Responsibility Research Center Institute (IRRCi), page 27 (4.2), 2014. 15 Marianne Bertrand and Mullainathan Sendhil. Are CEOs Rewarded For Luck? The Ones Without Principles Are, Quarterly Journal of Economics, 2001, v116 (3 Aug), 901-932. 16 Visty Banaji, Is Your Board Bored By HR? Improving Board Oversight of HR, People Matters, 13th Nov 2017.